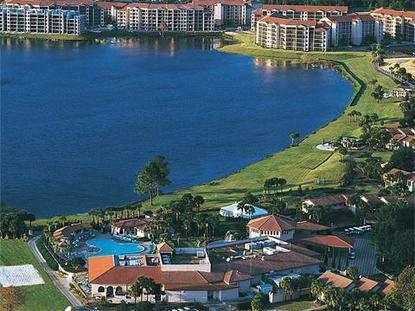 Westgate Lakes offers luxury resort accommodations only minutes from all major central Florida attractions. The luxury accommodations range from studios to four bedroom villas, each featuring all the comforts of home. Each spacious unit includes cable television, air conditioning, whirlpool tub, and a sleeper sofa. Studio units feature a kitchenette with a mini refrigerator, microwave and sink and balcony/patio. The one bedroom units feature a kitchenette with a full sized refrigerator, microwave, two burner stovetop and a washer/dryer. A fully equipped kitchen with refrigerator, microwave, dishwasher and full size range, as well as a full size washer and dryerand balcony/patio, are featured in the two, three and four bedroom villas. Situated on 97 tropical acres with one mile of lakefront property in Orlando, this resort is an ideal vacation paradise. Resort amenities include numerous swimming pools and kiddie pools, Jacuzzis, playgrounds, lighted tennis court, basketball courts, volleyball courts, shuffle board, walking paths and bicycle rentals. Guests can also stay active in the state-of-the-art fitness center featuring top-of-the-line exercise equipment. Westgate Lakes also houses Papillion the Spa, a new, world-class 10,000 square foot health spa. Another recent addition is The Pavillion, which includes Sid*s Deli, a bakery, espresso bar and mini-mart. Unique dining experiences await you at the resort*s variety of restaurants, including Pelican*s Landing Pool Bar and Grill, Westgate Smokehouse Grill, or you can simply order from the on-site Pizza Hut and have it delivered right to your door.